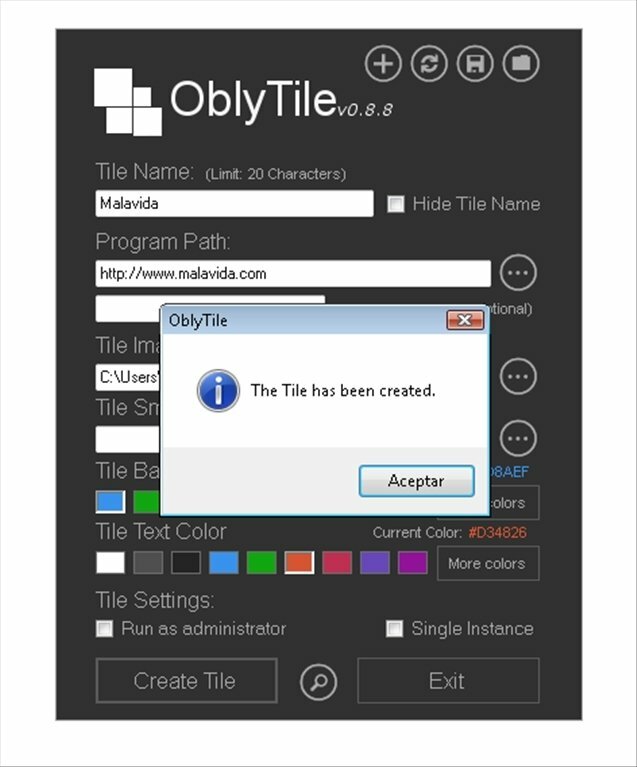 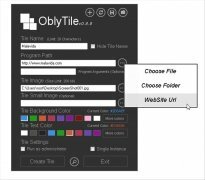 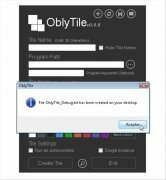 One of the main updates of Windows 8 is its Metro interface and the start screen, built around the idea of the so called "tiles".Thanks to OblyTile you will be able to create personalized tiles for any program, website, file or folder. 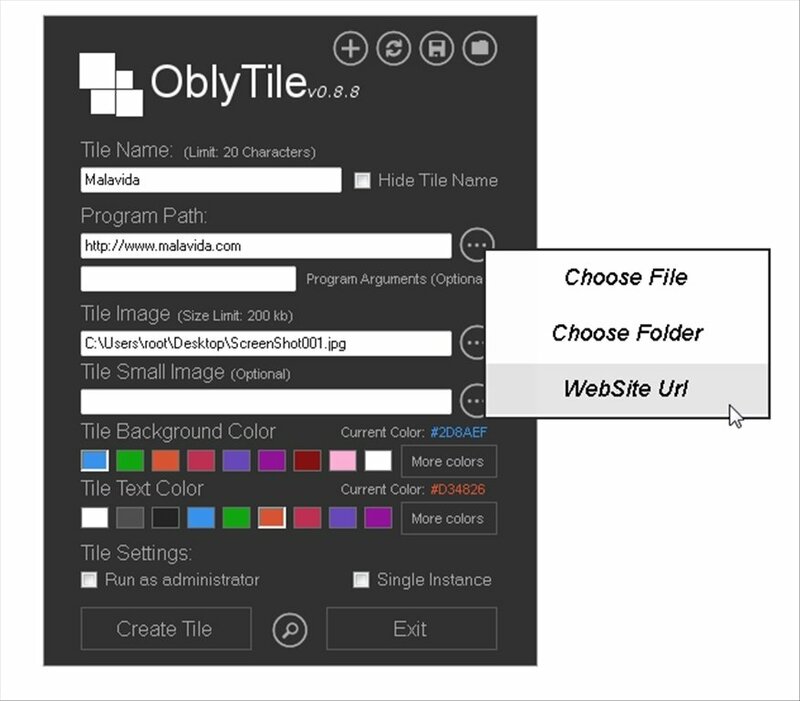 Indicate the name of your new "tile" and the access route to the file, the folder or corresponding page. 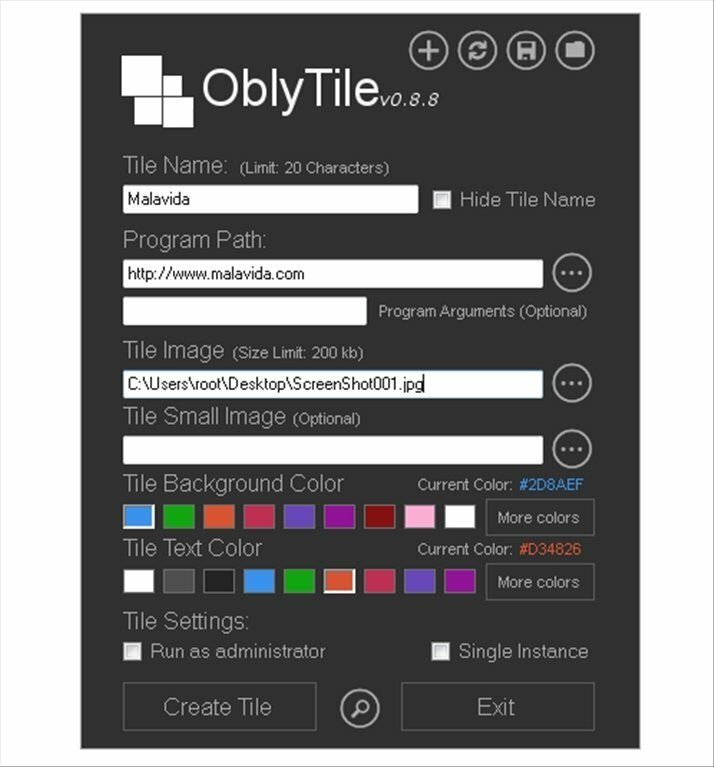 Then, select a couple of images, the background color and fonts. 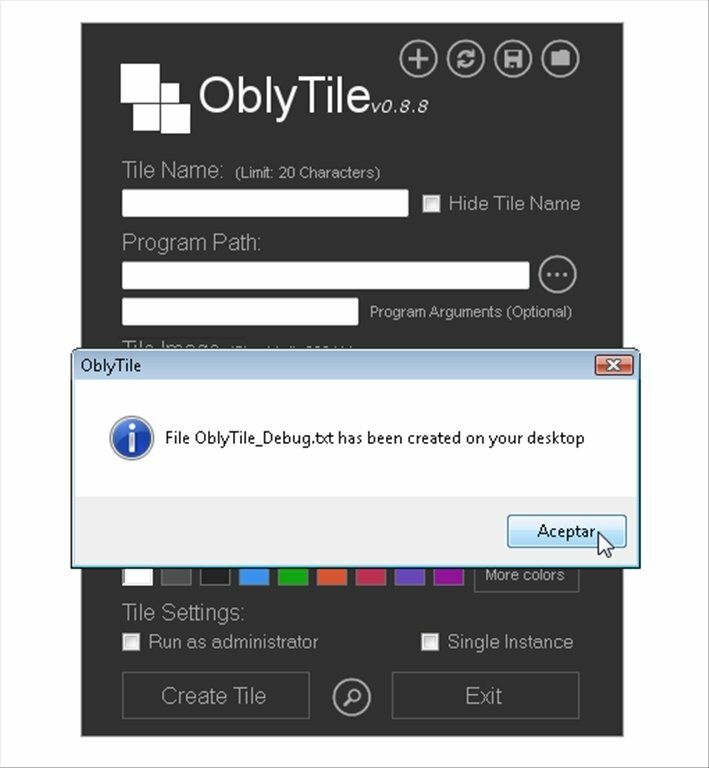 The new icons are saved in the program's folder, and the LNK file is added directly to the start menu. 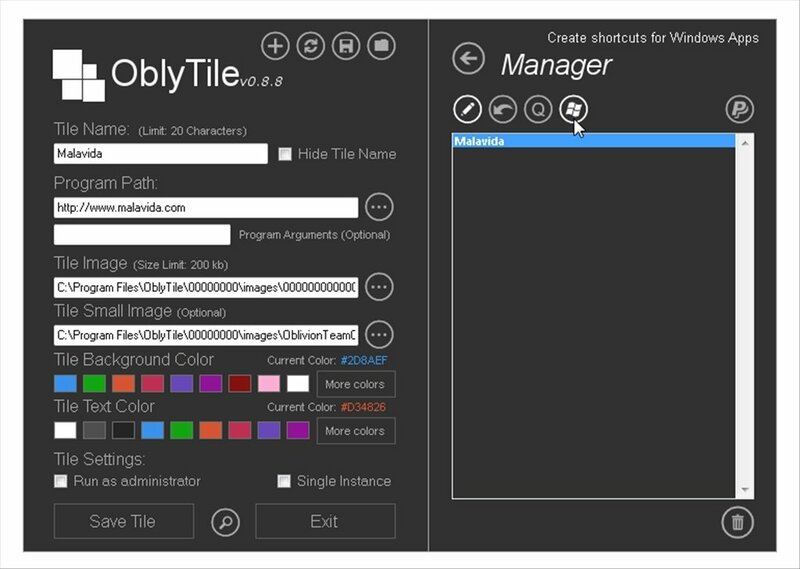 Manage your icons with the integrated manager. 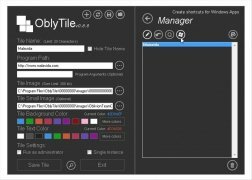 Option to create tiles with two columns. 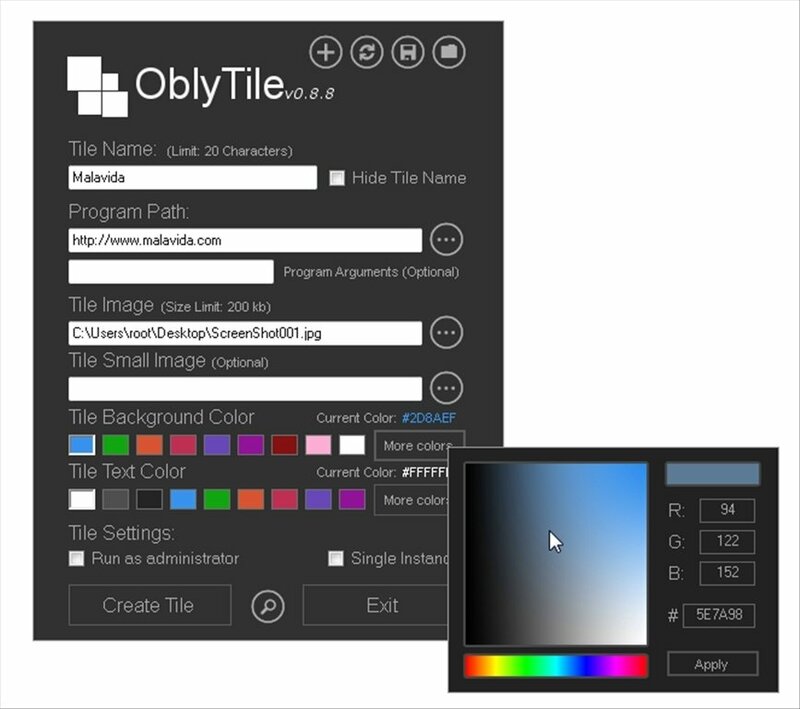 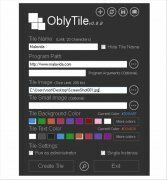 Download OblyTile for free on your PC to customize the Windows 8 start screen by creating your own customized tiles.